EcoG provides the "Android" of the charging station and brings the App economy to EV charging. EcoG offers the IoT operating system on top of a standard EV charger, which allows the different stakeholders to integrate charging into their businesses via apps/services. By that, we turn the time to charge into a revenue-generating business. There is not any doubt that EVs are coming. They all will need juice. 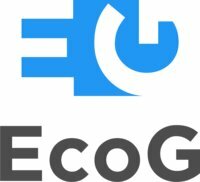 EcoG provides the platform and open API layer to integrate charging into everyday life for businesses and users. Every business can use charging as an extension to draw attention, increase utilization and offer rewards. The users benefit from seamless authentication and an integrated charging experience from the app of their choice. Be part of our team to accelerate electric mobility and define the way we interact with charging infrastructure in the future. We bring the app economy to charging infrastructure and will significantly improve the climate impact of mobility.